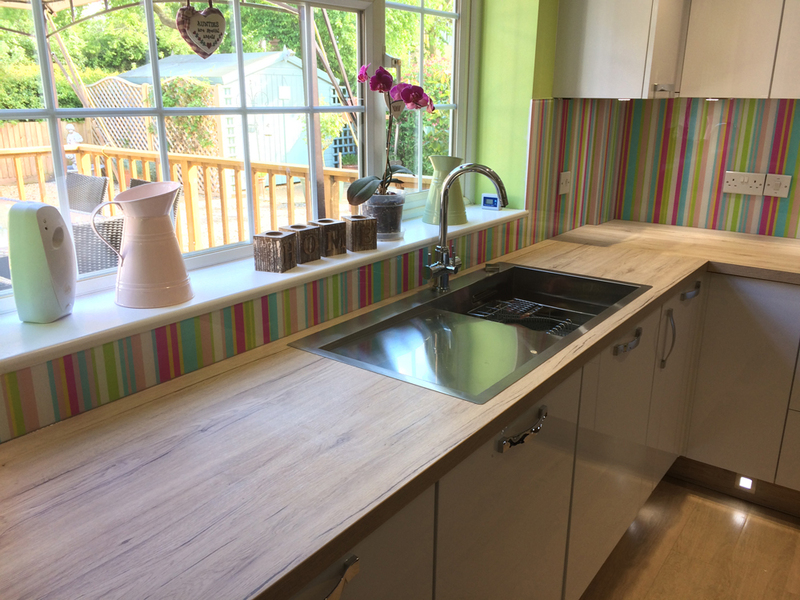 Easy Glass Splashbacks | Why Choose us? There are many options available nowadays for kitchen splashbacks, but choosing a glass splashback is an easy choice. • Glass splashbacks have a reflective nature that creates a feeling of depth, space and light. 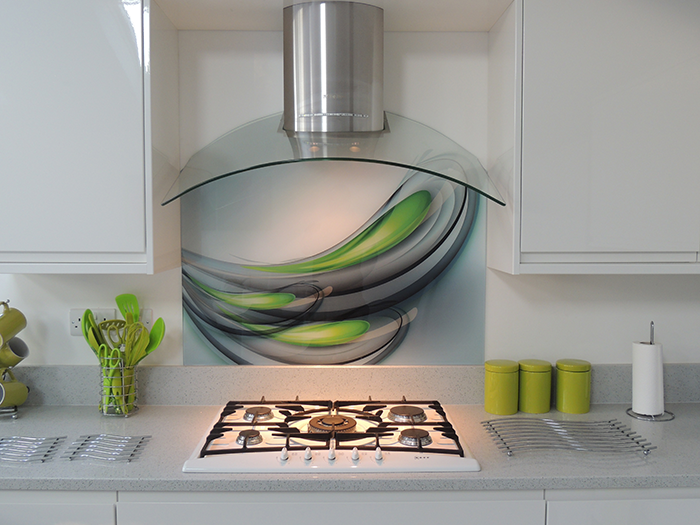 We can help you create a kitchen glass splashback that suits your taste and style. We can colour match to any shade under the sun! Meaning you can match to your cabinetry for a seamless look, or choose a bright colour for a bolder more striking appearance. If you are looking for something that is unique, then we have a printer onsite and you can custom design a print or pattern for a one-of-a-kind splashback. 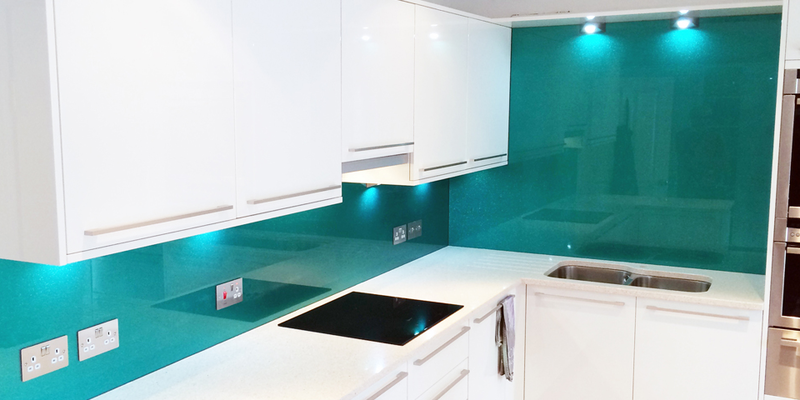 All of our Glass Splashbacks are made from 6mm toughened safety glass, which adheres to the highest of UK standards. If your glass is untoughened you will run the risk of it cracking at any moment due to heat from your hob or over-tightening of sockets for example. We always use Low Iron glass which is the clearest type of glass available meaning your colour will look just how you want, with no green tinge compared to having a cheaper float glass version. Keeping your glass splashback clean couldn’t be easier. Glass cleaner and a soft cloth or paper towel is all you’ll need to keep it looking stunning for years to come. 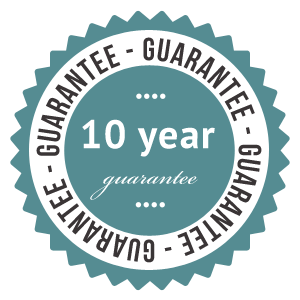 And with our 10 year guarantees on both the fit (if applicable) and against the backing paint fading or peeling you can have complete reassurance that your glass is made to last. We pride ourselves on giving superb customer service. 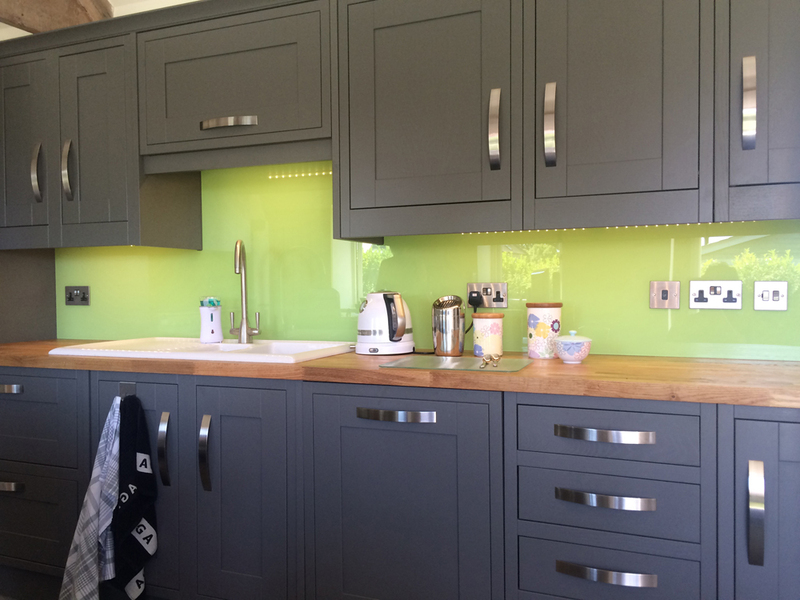 If you ever have any questions or queries either before placing an order or after your glass splashback has arrived we will always be here to answer them. Wanting a splashback that’s a little different? If you want your kitchen to stand out from the rest, try a decorative glass splashback: an image, pattern or graphic captured on glass. With unlimited options, you can create a talking point and something that you’ll be proud to show off.